Michael Forward is a prescient superhuman who can only visualize “things that might happen in the future.” In other words, he’s never 100 percent sure what will happen from day to day. Kind of like the rest of us. But he’s sure about one thing: He needs to protect the newborn baby he’s carrying around in his stinky backpack. That kid is going to grow up to become Earth’s savior. Oddly, there are certain constituencies that don’t want that future to become a reality. The Reformists, for one, want to make sure the baby doesn’t mess around with their political agenda. They’ve recently orchestrated a worldwide political coup and they don’t want a baby savior upsetting their applecart. Why and how this particular kid is important is never fully explained. But one way or another, he’s going to play an important part in Earth’s rehabilitation. And depending on who gets their hands on him, he’ll either turn out to be a benevolent savior, or a ruthless monster. The future is what you make of it, after all. 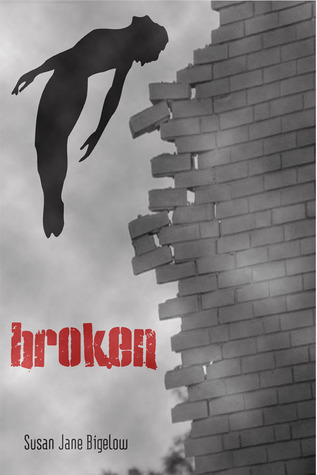 Helping Michael is a former superhero named Broken. 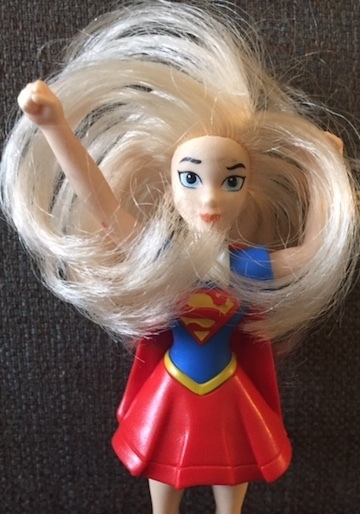 Actually, her superhero name was Silverwyng. But she changed it to Broken when she lost the ability to fly. She helps keep Michael on track. And she is this story’s symbol of hope and rebirth. There are all sorts of crazy characters in this novel—some of them crazier than others. The members of the First New Jersey Regiment of the American Liberation Army are particularly memorable. A cross between the Newsboy Legion and the Howling Commandos, the kids in this “army” all sport superhero names like Wayne, Kent, Parker, and Banner. They’re a quarrelsome bunch, but they are a highly entertaining diversion for the reader (and Michael too). The best part of the book (besides all the “hope for mankind” stuff) is when Michael comes face to face with “the thin man,” a second precog who’s playing for the opposite team. Together they take a Christmas Carol-like journey into the future to peep how the baby messiah grows up. For the first time in his life, Michael sees with clarity how the future will unfold. And he doesn’t like it one bit. At that moment he makes a heroic decision based on what his childhood benefactor once told him: “All men want to live in freedom.” And that freedom, he decides, is always worth dying for. This entry was posted in Published in 2011 and tagged Broken, Susan Jane Bigelow. Bookmark the permalink.